Road to Nowhere? Who’s Car Are We Taking? For the past year, Desmond and I have been taking online classes from Silvia Trkman. 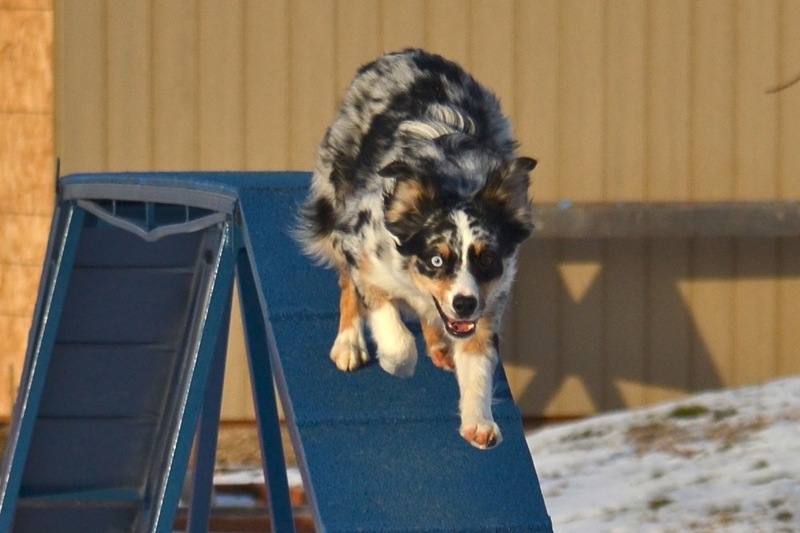 We began with some puppy Tricks, went on to our first Foundations class, spent most of the summer Running Contacts and just yesterday finished our second round of Foundations. It’s taken a buttload of hours, we trashed two pairs of shoes and countless holee rollers along the way. Before my surgery we hardly missed more than a day of training in a row, and I was back on the field two weeks after, having interpreted the Dr’s direction to “walk daily” quite loosely. Thankfully, my husband understands when I run outside at all times of the day muttering things like “diabolical weave entries” and leave old envelopes with scribbled sequences in random places around the house. Des and I aren’t done by far, but finishing this class made me reflect on how far both Des and I have come in the last year. And how many MB of disk space I’ve devoted to video of the speedy merlie. (I now have a 1 TB hard drive! A terabyte!! That seems like insanity to someone who still has floppy disks in a drawer somewhere.) And…I just dated myself. Awesome. After sorting through that digital pile of video, I put together a compilation of our work since last summer. For anyone following my long overdue fusion posts, all the shots with snow were post-surgery. Make sure your speakers are on and I hope you enjoy! Rock on, little DesMan. You are a joy each and every day.